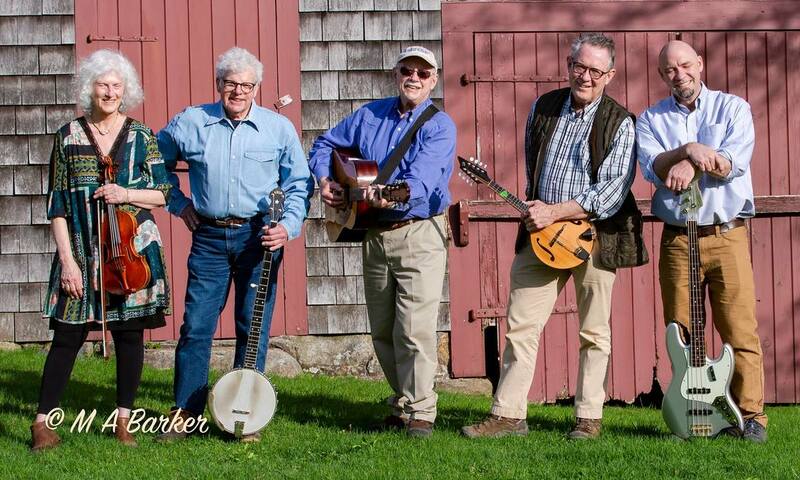 The Essex River Rounders Band is a 5 piece North Shore Massachusetts based group. Their name was inspired by our nearby open areas, marshlands, ocean front, and rivers. Their music is anchored in the folk genre, interpreted widely, and includes ballads, folk blues, bluegrass, songs and shanty's from the sea and waterways, certain popular numbers, and a few numbers that are just plain hard to typecast. Band members include Barry O'Brien, of Essex, on 6 string guitar, mandolin, harmonica, washboard, and vocals; Mike Maginn, of Hamilton, on 6 and 12 string guitar, long neck five string banjo, and vocals; Ernie Pigeon, of Newburyport and Ipswich, on six string guitar and vocals; Joe Mansell of Ipswich on bass, and Susan Wood of Ipswich on fiddle, and vocals.